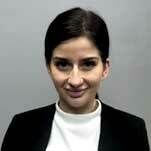 Ines is a Solicitor admitted to the Supreme Court of New South Wales. She holds a double degree in law and commerce with a major in accounting from the University of Wollongong. She began her career in 2014 as a paralegal and immediately became interested in criminal law. From January 2017 to April 2018 Ines worked for the International Criminal Tribunal for the former Yugoslavia. She undertook work in the area of international criminal law and transitional justice. On her return to Australia, she started work with George Sten & Co. Since joining George Sten & Co she has appeared in all NSW jurisdictions and has instructed Counsel in various criminal matters. Ines has a passion for human rights and justice for every client no matter how complex or serious the matter is. She is fluent in Bosnian, Serbian and Croatian.